Can dolphins teach humans how to come up for air? In May this year in Honduras, Sayuri Kinoshita held her breath, dived into the ocean — and disappeared. Swimming in the undulating manner of a dolphin, she had vanished down into the darkness. Kinoshita was taking part in the Caribbean Cup free-diving competition. She was attempting to beat her own world record for the depth reached, in a category of diving where you are not allowed to wear fins to help you swim, nor to pull yourself down with the aid of a rope. This category — constant weight no fins (CNF) — is considered one of the most challenging of the disciplines of free diving because not only must you hold your breath while descending, but you must also put in immense physical effort to propel yourself downward. Kinoshita, born in 1988 in Nagasaki (she now lives in Okinawa) didn’t break her record at the Caribbean Cup, but then no one has yet broken her record of 72 meters that she set in 2016. Kinoshita became interested in this extreme sport after reading about the success of another Japanese free diver, Hanako Hirose, and says the sport is growing in popularity in Japan. It’s a modern version of the traditional ama divers of Japan, mostly women, who dive to collect pearls and seafood. These women swim in the same undulating way — like a “mermaid,” says Miku Higuchi, who at age 20 is perhaps the youngest of the traditional divers in Mie Prefecture. The key problem, from a physiological point of view, is to get enough oxygen into the blood to supply the body and to avoid decompression sickness, also known as the bends, when coming back up. The ama divers try to counter sickness with a technique called isobue (ocean whistle). When they resurface they emit the air in their lungs in a long, piercing whistle that is thought to help prevent the bends. Perhaps a look at new dolphin research will help both free divers and ama divers. Andreas Fahlman of the Oceanographic Foundation in Valencia, Spain, compared populations of dolphins that live in different areas: one population that lives near the coast and makes short dives to less than 10 meters when hunting, and another that lives in Bermuda and dives very deep — to 400 and even 1,000 meters, spending up to 13 minutes underwater. For humans who practice extreme diving, there may be some clues as to how their physiology changes with practice, too. 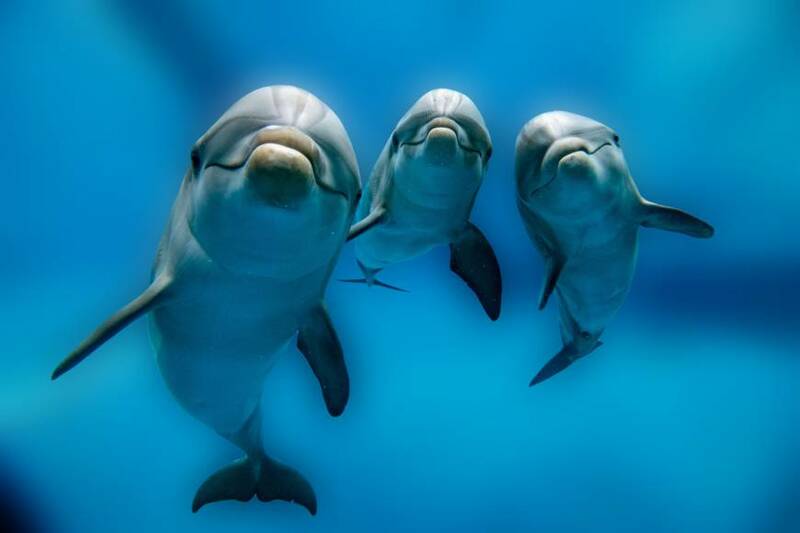 Fahlman’s team found that the deep-diving dolphins had greater oxygen storage capacity. This allows them to dive for longer durations. But the mechanical action of the lungs and the metabolism of the two populations were not different. What other means might these be? 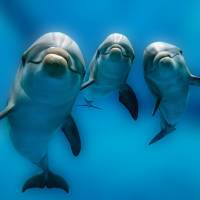 Fahlman suspects deep-diving dolphins maintain elevated heart rates. “Not only during surface intervals, but also during shallow dives in-between deep dives to allow sufficient restoration of oxygen stores,” he says. Keeping the blood flow elevated between deep dives helps reduce time spent at the surface and enhances recovery time. This seems to help dolphins avoid decompression sickness, which occurs if ascending too rapidly after diving. Nitrogen bubbles that form in the blood and tissues when deep underwater don’t have time to diffuse back into the blood and that can be painful, even life-threatening. “This hypothesis provides new and exciting research opportunities to understand how mammals can dive to extreme depths on a lung full of air without any of the related problems that humans experience,” says Fahlman, whose work is published in Frontiers in Physiology. Rowan Hooper is the managing editor of New Scientist magazine. His new book, “Superhuman: Life at the Extremes of Mental and Physical Ability,” is out now. Follow him on Twitter @rowhoop.